When it comes to projects that gather genomic data for population and biomedical studies, the lack of quality samples from the Middle East means that some groups are underrepresented. With a projected three-fold increase in the cancer rate between 2013 and 2050 in Egypt alone, this could have significant implications for the region in terms of personalized medicine. During the planning phase of biobank development, the team established an 8- to 10-member Biorepository Coordinating Committee (BCC) made up of professors active in stakeholder departments (research, surgical pathology, clinical pathology, surgery, pediatric oncology, radiotherapy and IT). They tasked this committee with organizing projects at the biobank, including the creation of and adherence to standard operating procedures (SOPs) and good laboratory practices. Divided a space near surgery/pathology into five sections: sample receiving, sample processing, documentation office, storage area and research area. Uses CCHE’s established emergency power system, including a generator sufficient for seven days’ emergency use by the biobank. Includes 24/7 monitoring with remote alarm systems that calls four numbers if temperature fluctuations occur. Acquired only basic equipment: computers, freezers (–80°C, –20°C, –150°C), liquid nitrogen tanks, barcode reader, label printer, gel electrophoresis, pH meter, Nano-quant, rotator, vortexes, PCR cabinet, Laminoar safety cabinet, centrifuges, lab refrigerator (+4°C). De-identified data and coded along with sample information, readable by humans and bar code readers. Customized caTissue with multiple back-up servers. Initially consisted of an interviewer and laboratory worker but expanded after one year to include laboratory manager, two laboratory workers, two interviewers and a secretary. Biobank coordinator received full-scale training at a Luxembourg biobank; interviewers received ethics and communication training. The BCC combed the existing literature when establishing SOPs for collection, processing and storage, and developed workflows for each specimen type that rely on significant cooperation with the central hospital. The authors indicate that adherence to these SOP workflows will be key to efficient, ethical management as well as sample distribution when that stage begins (five years from initial start-up). They revise and update these every six months. Labib et al. report that recent monitoring efforts revealed that, for 5,438 patients over a 24-month period, 70.2% (n=3,812) supported biobanking and consented to donate for multipurpose research. The team credits this high acceptance rate, which required a cultural paradigm shift in many cases, to their team of research interviewers, who used clear, careful communication to address donor concerns and build public trust. They further attribute their general success to the way they tailored their SOPs to the existing infrastructure, enabling the team to standardize biobanking activities smoothly while minimizing costs. 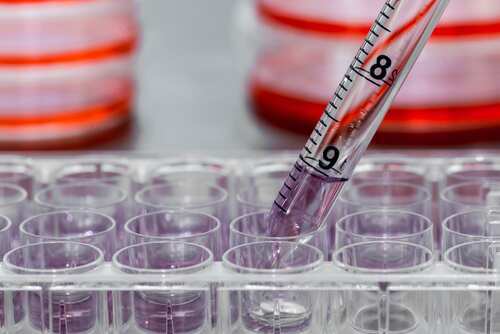 Ultimately, the researchers believe that the development of a reliable biorepository like the CCHEBBR will have a two-fold impact: providing region-specific access to personalized medicine and advancing research toward the goal of finding a cure for cancer.